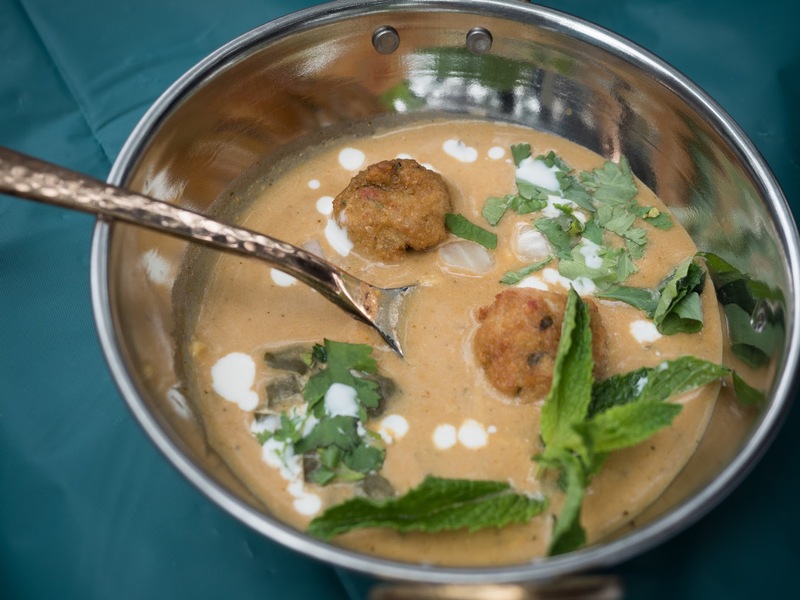 We had so much fun getting our curry on last year that we’re doing it again! 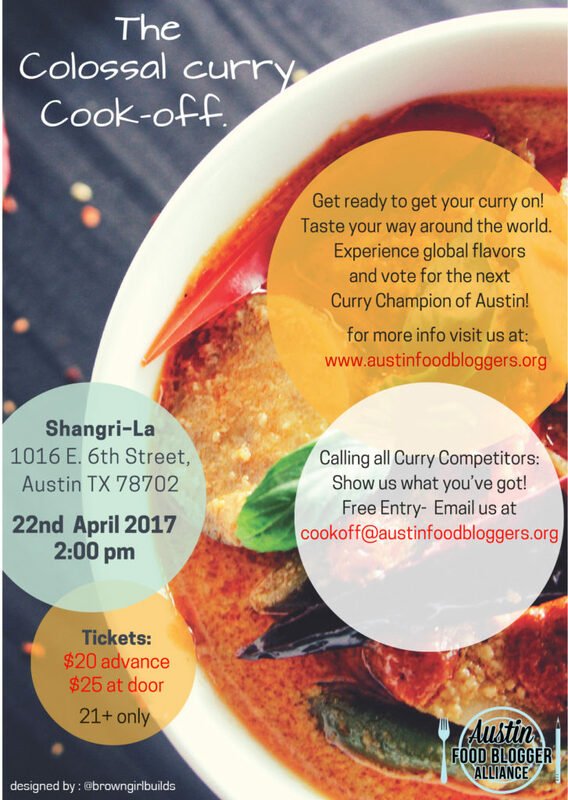 Join us for a feast of fabulous curry creations and help us decide Austin’s next Curry Champion! And to get the party started, DJ Dolomike will be back with us again to provide the spicy tunes to get your palate grooving. Tickets are just $20 in advance and $25 at the door. Everyone had such a great time that we sold out last year, so don’t wait! There will be glorious SWAG BAGS for the first 50 people in the door! Think you’ve got the cooking chops to win the coveted title? Sign up to be a contestant! 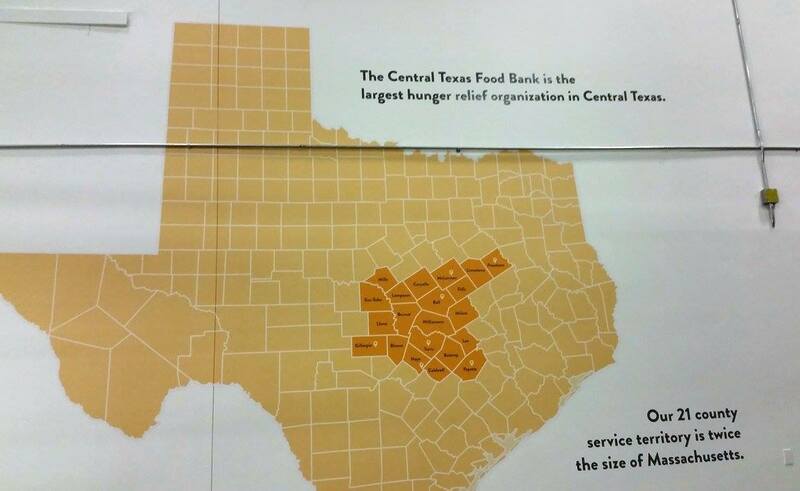 It’s FREE to enter the competition. To inquire about being in the cookoff, email us at cookoff@austinfoodbloggers.org. Special thanks to our amazing sponsors – we could not make this event happen without you!